Are you in Barcelona and thinking to experience something unique? ¿Who hasn't dreamt about flying? In The Land of the Sky we make your dreams come true. Once you jump over the beautiful Costa Brava from 4000 meters you will be left speechless and your life will never be the same. We are convinced that as majority of the people, you will say that it was the best experience of your life, and that you will remember it forever. 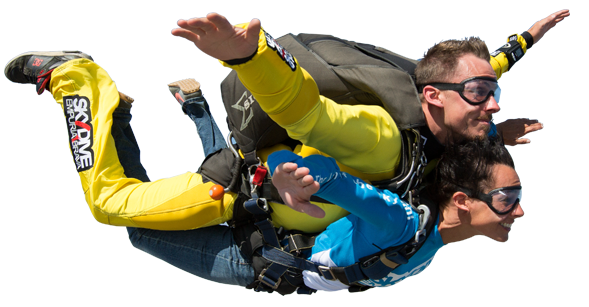 In Skydive Empuriabrava you will get a taste of pure skydiving and passion, for all levels. After all, it's The Land of the Sky. ¿Why The Land of the Sky?